Big promotions don't have to cost a lot! 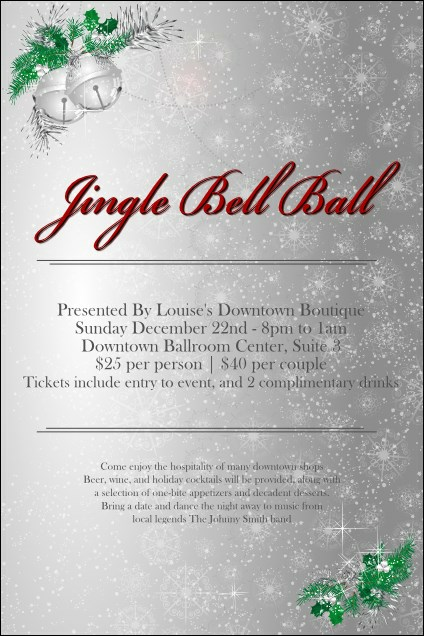 Choose the professionally designed Jingle Bells Poster for your Christmas, solstice, or winter celebration. Soft white snowflakes fall behind your event details on this template, with silver bells and holly in the corners. Raise spirits with the right poster from TicketPrinting.com.